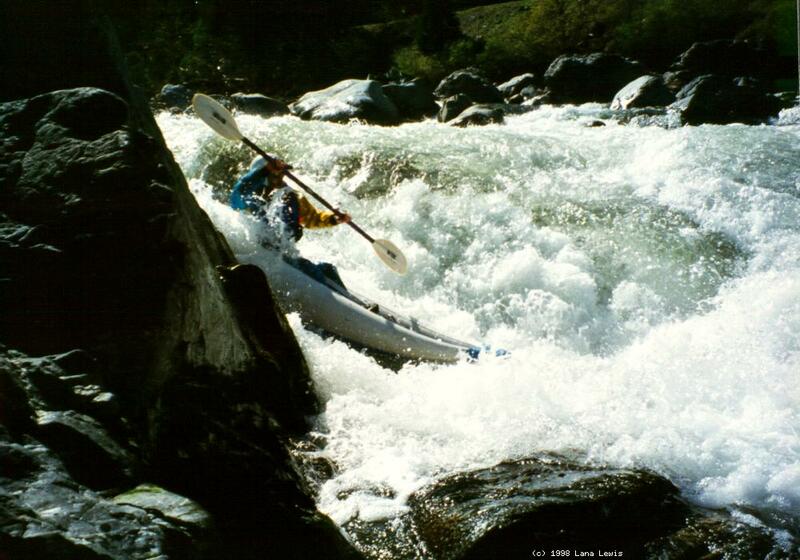 This is an excellent run for advanced rafters and hardshell kayakers with an unfailing roll. It is also a good inflatable kayak run at lower flows. 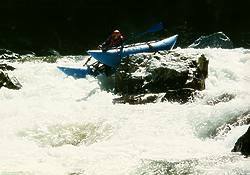 The kayak minimum of 500 cfs might be a good starting level (the Cassady/Calhoun book says 800 cfs is the minimum raft flow). 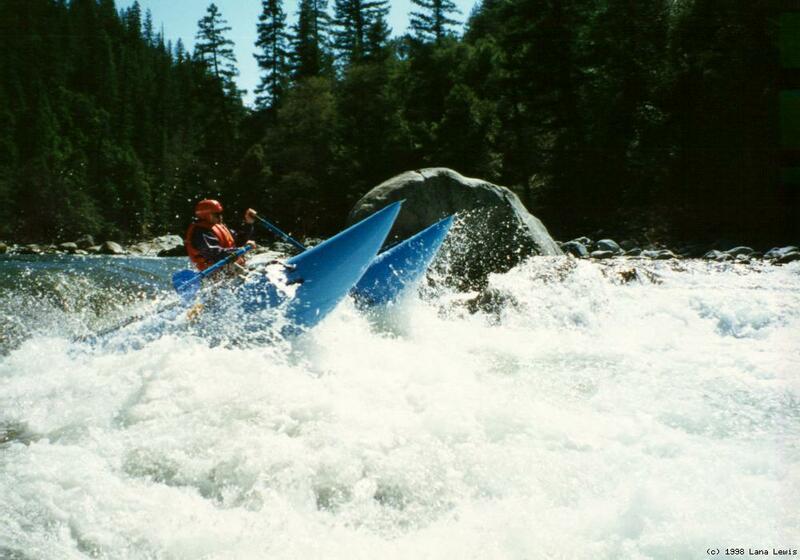 Shasta area paddlers report IK runs up to the 3000 cfs range, although very long swims are possible at such flows. Upstream the Scott river flows thru a wide open agricultural valley, and offers runnable flatwater with occasional snags for over 30 miles. 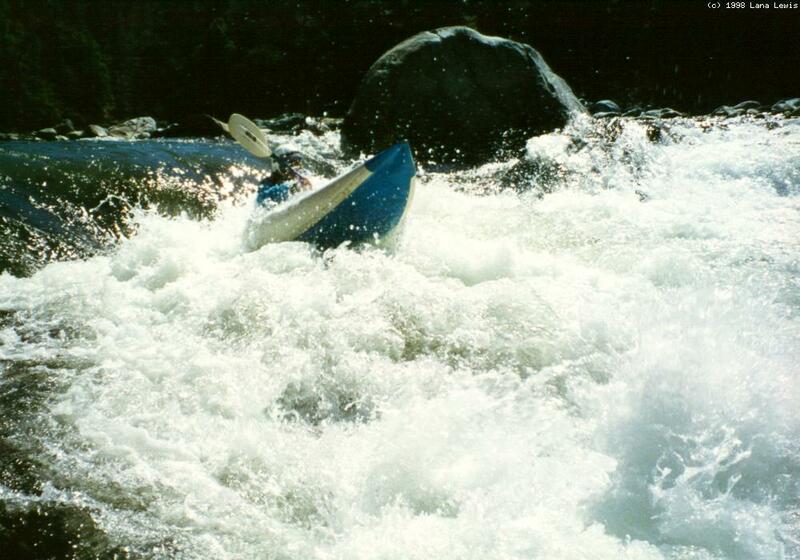 About 7 miles northwest of Fort Jones, the Scott river starts carving a gorge on its way to the Klamath. 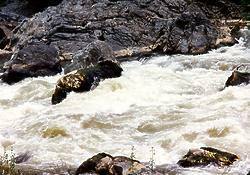 Rapids are class II-III for almost 5 miles to Indian Scotty campground. Canyon Creek (not the one into the Trinity) reaches the Scott river downstream of Canyon Creek rapid. A road leads upstream to a USFS campground, and this creek is sometimes boated. Downstream from this class V run's take-out at Scott Bar, the river continues dropping over class II-III gravel bars, and reaches the Klamath river upstream from Sarah Totten campground, near Hamburg. That section of the Scott is scenic, but seldom boated. The Cassady/Calhoun guidebook provides a good mile-by-mile description of the class V run below Indian Scotty campground. However there are a few important points to add. Boulder Creek Falls is dangerous class V because it contains so many entrapment points, and class IV Canyon Creek rapid starts immediately downstream. Rather than put in below Canyon Creek rapid, you can snivel down the right side of an island to avoid the worst of Boulder Creek Falls. Depending on water levels, you could either line or drag your boats. 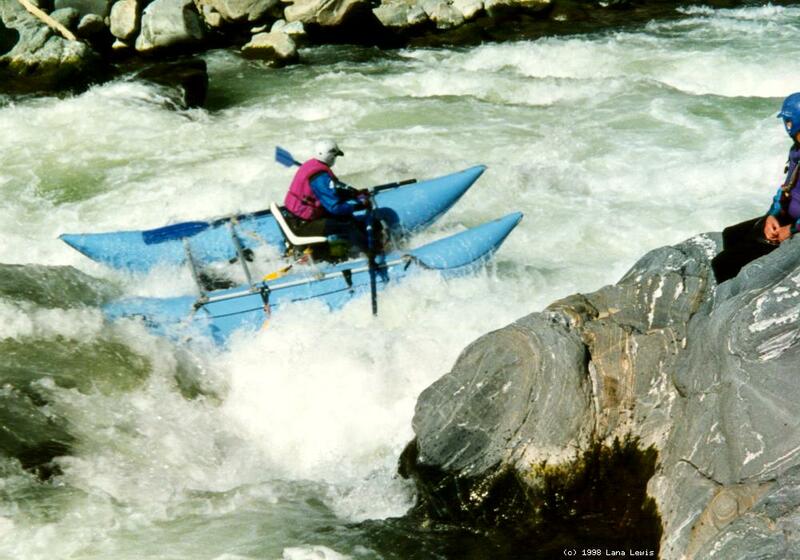 This is much easier than portaging, and Canyon Creek rapid is fun! 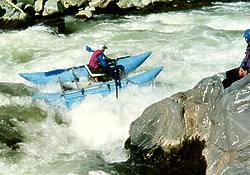 It is possible to put in at the Canyon Creek bridge, but access there is poor for rafts. The more common put-in is at Trail Flat (Bridge Flat) just below the confluence of Kelsey Creek. There is access on the river left side of the highway bridge, and the USFS campground is about .1 mile downstream. 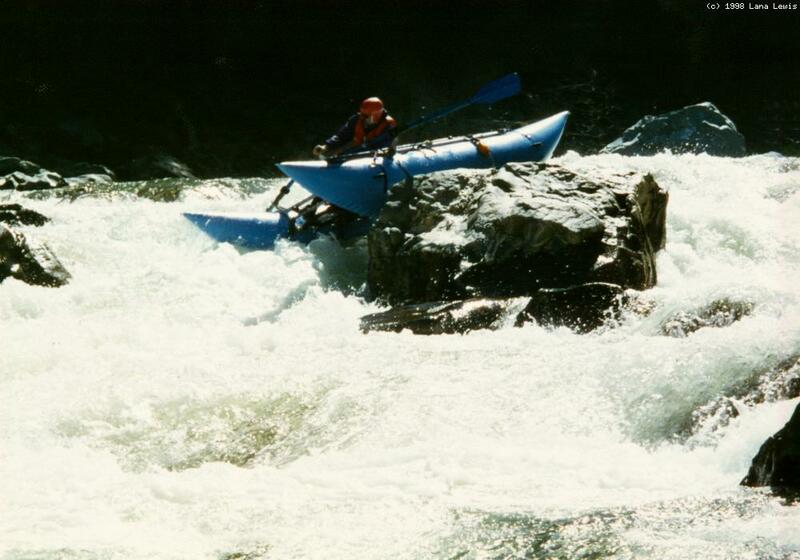 Significant rapids not mentioned in the Cassady/Calhoun book are the unnamed ledge drop shown below, Tombstone, and Clamshell (not pictured here). All are encountered before White House. At high flows, the gut of class V- White House hole can be sneaked by entering left and negotiating a boulder bar slalom. Class V- Tompkins Creek rapid, .8 mile downstream, should be inspected from the road during your shuttle, to determine whether you want to scout right or scout left. 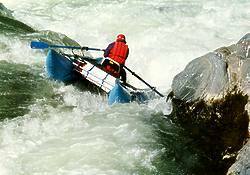 The boulders move around from year to year, and the best route changes with the flow level. Class V- Schuler Gulch rapid, 3.6 miles further downstream, should be scouted from the left, because the best route hugs the left bank for a distance, and the hardest move cannot be seen well from the right bank. Just above Scott Bar is a hard-to-find access road that makes a better take-out than at the bridge in Scott Bar. The reason it is hard to find is that some locals are not supportive of whitewater boating, so every time the USFS puts up a sign, the locals tear it down. Cat almost stuck in Tombstone Rapid! To find nearby food and lodging, type Yreka into the box and click Search.